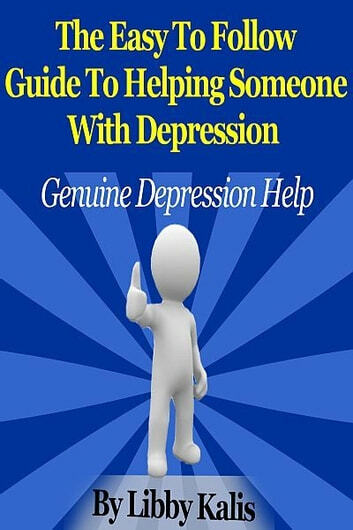 This eBook is easy to read and understand — but more importantly this book gets results, and it’s the complete solution for anyone who wants to help someone with depression. to genuinely help someone with depression. Literally millions of people are suffering with depression, and the need for accurate,easy to follow information, to help these people is desperately needed right now. This easy to follow guide provides you with that information. Understand how a person with depression feels when ‘the darkness’ sets in. 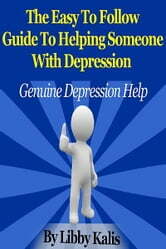 Discover practical tips & strategies for helping someone who has depression. Avoid the 3 biggest mistakes when helping someone with depression. Help someone get on the road to depression recovery. Genuinely helping someone with depression that brings joy to your and their life is what you want, and this is where you will get the knowledge to simply and successfully bring it together – TODAY! The easy to follow guide to helping someone with depression that will save me hundreds of hours searching for this information. How to talk to someone with depression. What to do if someone is suicidal. Taking care of yourself in your support role. This really is a small price to pay to help someone achieve happiness, despite their depression! What Is Wisdom ??? : Healing - Depression - Anxiety - Panic - PTSD.